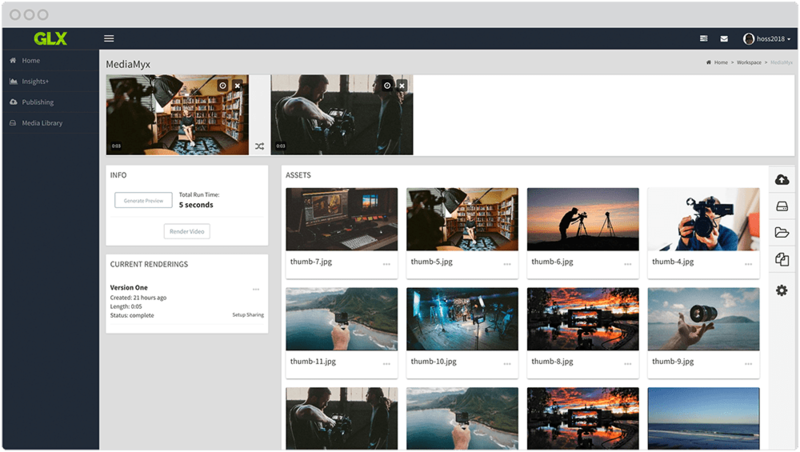 GreenLightXpress from MediaMobz is the only comprehensive video content marketing production, collaboration, distribution and measurement platform. Why You Need (More) Video? Event Producers looking to minimize production and post-production costs and better leverage hundreds of hours of captured content. Brands that understand that consumer engagement and attention is gained by quickly and effectively delivering critical messaging...repeatedly. Marketing agencies who serve multiple clients and simultaneously juggle multiple creative projects and want to cut down on approval times. 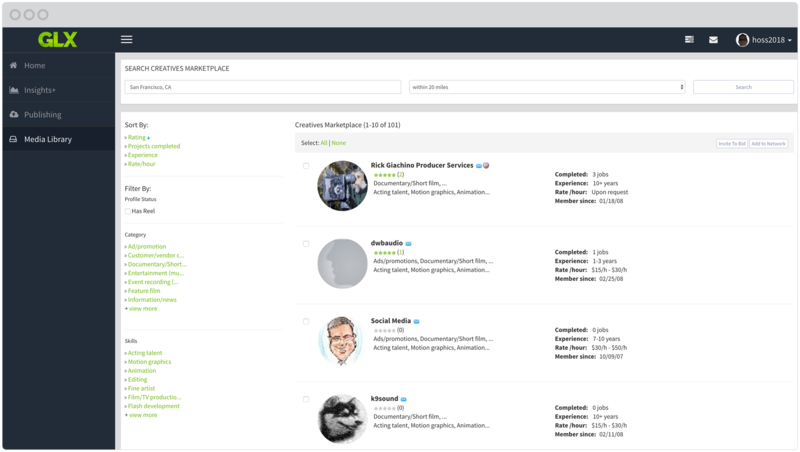 Influencers looking to increase their visibility and engagement (with both followers and potential customers). GLX creates production and distribution efficiencies. One Fortune 500 enterprise customer saved nearly 75% in post-production costs using GLX. Each GLX feature is designed to help save time. Whether it’s in the approval process (Screening Room) or sourcing production talent (Creative Marketplace), every step of the GLX process helps speed content delivery. The faster a message can be distributed, the faster the resulting revenue potential. 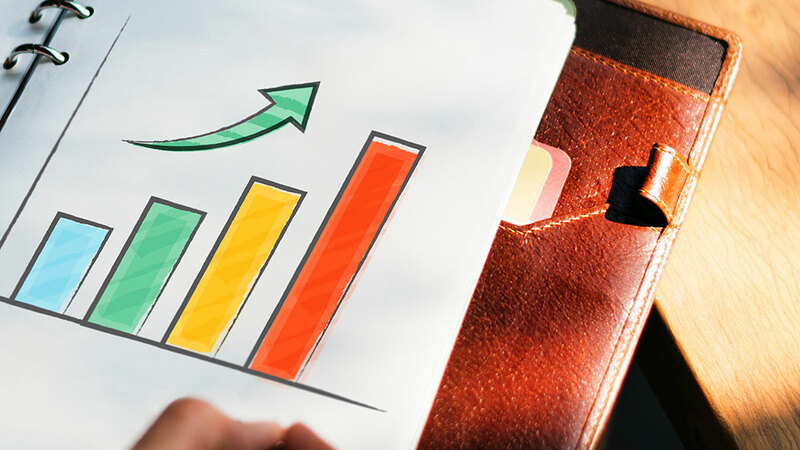 One GLX customer effectively uses our m-page feature to produce and distribute customer testimonials as the focal point of its business development efforts. Effectively managing an asset database of approved assets provides new creative opportunities and shortens approval windows. 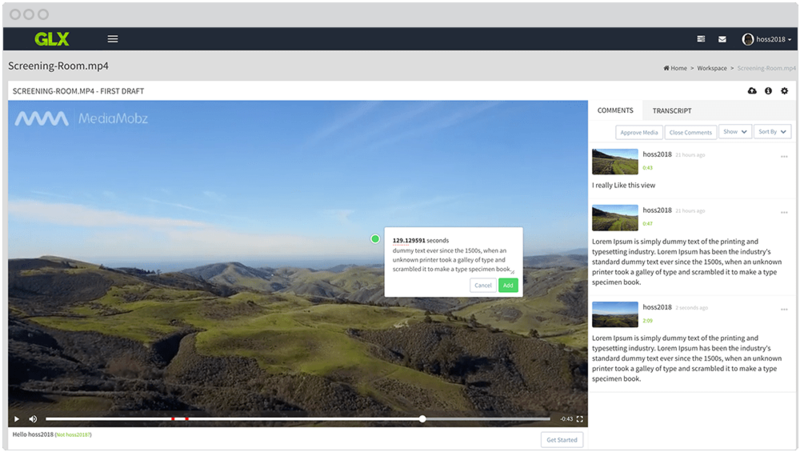 SCR speeds up time to distribution by enabling diverse groups to efficiently collaborate to view, comment upon and approve video content. LIB unlocks creative opportunities by organizing the most up-to-date, approved content and accelerates time to distribution. MYX provides fast, pro level video editing capability with an ease of use that basic tools don’t offer. 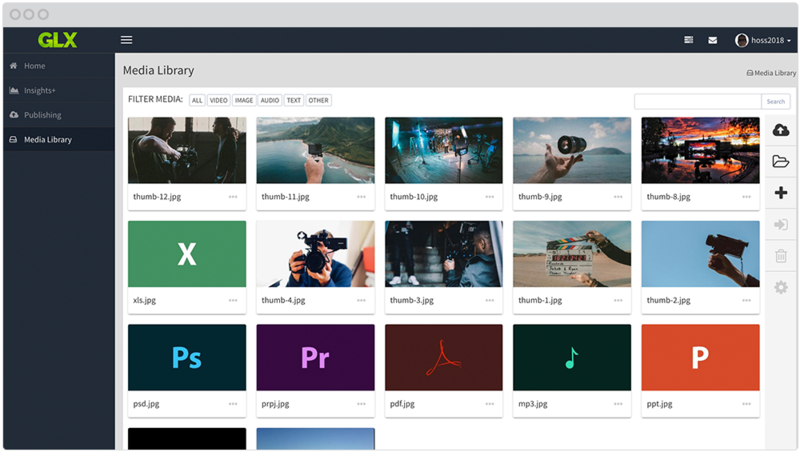 CMP provides instant access to several thousand expert, vetted creatives (writers, editors, video producers, shooters, etc.) who are ready to bid on any project. 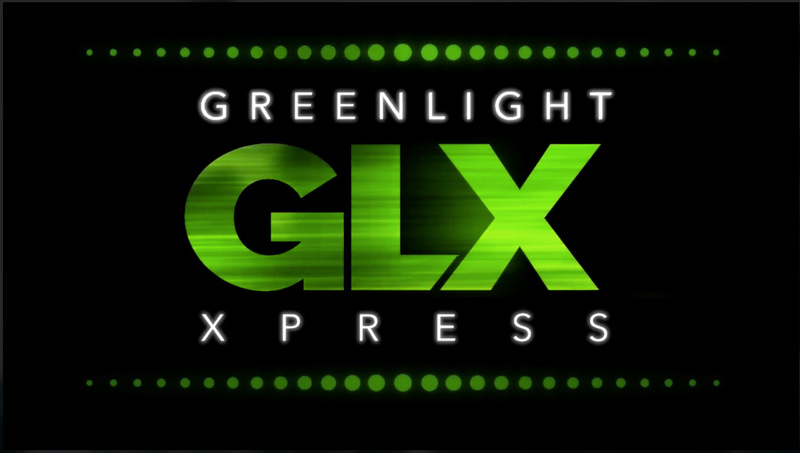 GreenLightXpress is the only comprehensive video content marketing production, collaboration, distribution and measurement platform.